Smyrna's Best Gutter Cleaners is proud of all of the reviews we have received from our customers. Reviews are important in our business so that we know our customers' concerns, and how we can constantly push ourselves to not only provide the best gutter cleaning service in Smyrna, but a perfect service for every customer. Although we have the highest ratings on any internet website of any gutter cleaning company in the metro Smyrna area, we still actively learn from each review, positive or not. Below are over 300 reviews in the words of our customers, just a fraction of the positive feedback we have received. You can follow the links provided to the actual websites our reviews originate from and read our entire history of excellent service. "Highly recommend Smyrna's Best. Great job and great customer service!" "Smyrna' s Best gutter Cleaners response time was excellent.."
"I did hire Smyrna's Best Gutters." "They are efficient and easy to deal with. Using Smyrna's Best Gutter Cleaners on a regular basis now. " "Smyrna's Best Gutter Cleaners did a great job." "Smyrna's Best Gutter Cleaners did a great job. They arrived on time, were thorough and efficient, and did an above and beyond job of cleaning up the debris when they were finished. I'm very pleased with their work and will choose them again when I need my gutters cleaned." "Great service and the price was right! We will definitely use Smyrna's Best Gutter Cleaners again. " "Smyrna's Best arrived on time and the technicians were professional and very thorough." Project: Gutters & Downspouts - Clean "I have been looking for someone to do this job for some time. I felt good about hiring them because their insurance information was emailed to me the very day I was on ServiceMagic. Smyrna's Best Gutter Cleaners arrived on time, did the job, went above and beyond to clean up, and completed the job in a very short time. I plan on signing up for their annual agreement. Thanks ServiceMagic!" Project: Gutters & Downspouts - Clean "Smyrna's Best Gutter Cleaners was very professional. They were excellent about communicating when they would be at the house and also offered other helpful suggestions about house repairs that were needed on the roof." Description of Work: Smyrna's Best Gutter Cleaners came and cleaned out our gutters, and also repaired the gutters. "We knew we had a problem with the gutters because when it rained the water would pour over the side of the house. Smyrna's Best Gutter Cleaners came and cleaned out our gutters and found almost a dozen golf balls in the gutters! They also found some damage on the gutters and asked if we would like them repaired. They repaired the damage and now when it rains the rain goes down the gutters and not over the house. Pleased with results"
Description of Work: Cleaned roof and gutters on 3000sf ranch house, plus roof and gutters on 2 car detached garage. "I prepaid for the service from Smyrna's Best Gutter Cleaners thru Angie's List. I retrieved the receipt 2 days after the service was performed and noticed there was an additional $30 charge. When I called to inquire about the additional charge, I was told it was for cleaning the roof and gutters on the detached garage. I told them I did not receive a call about an additional charge, but that I would go ahead and pay the extra and gave them my credit card information. Five minutes later they called me back and I was told that they would not debit my card for the $30 because they had not called and notified me at the time of service about additional charges. I was obviously impressed with this action. I don't believe many companies would have done the same thing. I would definitely recommend this company to others." Description of Work: As part of an Angie's List Big Deal, I had my roof and gutters cleaned by Smyrna's Best Gutter Cleaners. I have a one-story ranch with fairly accessible gutters, but a lot of perimeter.done!!! "I scheduled a visit within a reasonable time, and when an earlier opening was available, they called to see if I'd like to move the service date up. I wasn't home during the cleaning, but the roof and gutters looked great when I got home. A bit of debris came into one room, but it really wasn't much, especially since I knew there was space under the doors from the outside and the information about moving glass objects, etc., does warn that this is a possibility. I will probably call them again when I next need the gutters cleaned." Description of Work: All of our gutters were cleaned and the debris was removed. "We used Smyrna's Best Gutter Cleaners after purchasing Angie's Big Deal for gutter cleaning. We were in desperate need of having our gutters cleaned, so the big deal came right on time. When we called to schedule, they told us they would schedule us based on location and email us the information. We received that information promptly and the service was scheduled for the following week. They came and completed the services within the time frame they gave us, and we were pleased with the work. We were also informed that we needed our gutters replaced, and they gave us a reasonable quote that was in line with the other quotes we received. We would definitely use them again." While pressure washing the roof the servicemen found that three vent boots were cracked (chewed!) and needing replacement. They had taken pictures of the damage to show me and gave me an estimate for the work to repair it. I could call the office to schedule the work if I wanted to. I looked up other companies to do the work and compared prices, the quote provided by Smyrna's Best Gutter Cleaners was the best. The quote included a 3 year guarantee on the work. I called the office later that afternoon to schedule the work at the quoted price. The office personnel were pleasant and professional as well. Description of Work: Clogged Gutters Cleaned out "Smyrnas Best Gutter was easy to work with - They scheduled my appointment showed up on time and did a good job cleaning up my gutters"
Description of Work: I used an Angie's Deal to have my house pressure washed. They also re-attatched a gutter that had been "repaired" when I bought my house. "The services provided by Smyrna's Best Gutter Cleaners were outstanding. I called to make my appointment in the morning and was told I would recieve a callback to confirm a date. About an hour later they called to say they were in the area and had an opening that day. They came out as planned and completed the powerwashing. After they were done, they had me inspect the job. They explained they went over the back of the house three times but could not remove all the mildew. It must have been there exceptionally trained eyes because it all looked great to me. They also gave me an estimate to fix a piece of gutter that was starting to come un-attatched from the house. I agreed and they fixed it on the spot, saving me one more thing on my to-do list. Overall, the services were great and I would recommend them over and over." Description of Work: All the gutters on my two-story house were cleaned and the roof was blown as well. "This is the second time I have used Smyrna's Best Gutter Cleaners, and I have been impresssed both times. They show up when promised, work quickly and thoroughly, and provide a receipt showing the work done. I will continue to use them in the future." Description of Work: PRESSURE WASHING "Smyrna's Best Gutter Cleaners did a very good job and I'm so glad we took advantage of Angie's List "Deal of the Day" and hadall our pressure washing done now before it got any worse. They were punctual, polite and we were so happy with the workthat they did. The price was good and we will definitely be using them again in the future for other things." Description of Work: I used Smyrna's Best Gutter Cleaners for gutter cleaning. "They showed up properly and did everything they said they would do." Description of Work: Gutter cleaning and roof cleaning. "The two delightful young men that came out were prompt and very courteous and professional, not to mention they did a fantastic job. They cleaned my roof and gutters of debris and they also inspected my roof. They were very helpful with suggestions of some issues that I was already aware existed and they gave me a very reasonable estimate of repair costs. They were not pushy at all but just very helpful. I would highly recommend Smyrna's Best Gutter Cleaners to anyone and will definitely be using them for my future gutter and roof needs. And I hope it's ok to say this, but they beat The Home Depot's estimate on the gutter and gutter guard replacements by a very large margin. Thank you again Smyrna's Best Gutter Cleaners. You are awesome!!" Description of Work: They cleaned my roof and gutters. Job very well done!!! "Smyrna's Best Gutter Cleaners have been cleaning our gutters and roof twice a year for several years. They are responsive, professional and thorough and leave our place clean. 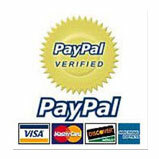 I pay my invoice online and all is easy and hassle free." Description of Work: Used an Angie's List coupon, Smyrna's best came out and did a good job of gutter cleaning. They will let you know if they spot roof problems and will proactively provide you an estimate for the work. They have on occasion performed that work for me as well. I have used them over the years and I'm happy with their service. "See above." Description of Work: Smyrna's Best Gutter Cleaners did inspect our gutter system. "They didn't actually charge me the entire amount because the gutters had to be replaced and so they just went up and inspected. I think I paid like $150 for the inspection and anything that we really can't do it because it is all rusted on the bottom. I thought they were pretty honest and their price was fair. They came out on a timely manner and that was helpful. They cleaned up their own mess and that is wonderful. They did not end up replacing gutters." Description of Work: I used Smyrna's Best Gutter Cleaners to clean my gutter and it was the second time I used them in a row. "They charged me a $100 which was very good and they did not leave any mess. They also did a good job and I would use them again in the future." Description of Work: I used Smyrna's Best Gutter Cleaners for pressure washing. "I think I used the Angie's list coupon for this service. They were good. I don't have any complaints. The main part is that they did their job and it was a fine one. The price was good because of the coupon. I will use them again in the future if they have another coupon for this service." Description of Work: I use Smyrna's Best Gutter Cleaners for gutter cleaning. "I found them on the internet and got really luck because they always do a good job. They just cleaned the gutter for me and even did a small repair on one of the clings and that is still doing fine. They are on time and professional and if they find any issues, they let me know and give me the estimate before they do any repairs. I will continue to use them in the future." Description of Work: I used Smyrna's Best Gutter Cleaners about a month ago for gutter cleaning. They did the work in August. "They did a great job. There was a special offer from Angie's list and we missed it. They honored it. I would use them in the future. " Description of Work: I used their gutter cleaning service. I have a one-level ranch house. I had emptied my gutter of leaves myself a few weeks earlier but had not rinsed out the gutters. And by the time they came more leaves were in there that needed to be cleaned out. "I took advantage of a special offer for gutter cleaning that normally would have cost $160. I am very happy with the service Smyrna's Best Gutter Cleaners provided. They were very professional in our email correspondence and over the telephone. I have an old roof so I emailed to make sure no one would be walking on the roof on the old shingles (since I need to keep the roof going until I can put on a new roof later this year). They were quickly responsive. And I was called by the office to remind me they were scheduled to to come to the house the next day (which also let me know they were going to be there when they said they would). I didn't even need to be there, all I had to do was make sure to turn the water taps on again (I had them shut off for the winter) so they could rinse out the gutters. Description of Work: Roof and all gutters cleaned, gutters examined for damage "We contacted Smyrna's Best Gutter cleaners after we had missed a special that had on Angie's List. They were very polite and offered a similar deal (price wise). They gave us a time frame in which they would arrive, and what the cost would be. They arrived with all equipment needed, began cleaning all the gutters out. We had asked them to examine gutters for any damage, as it appeared to have been some time since they were properly cleaned. We also asked for estimate for gutter guards. The work was done quickly, with no mess left behind. I was given what I felt to be a fair and honest opinion about some of the work that needed to be done to strengthen gutters and a price for gutter guards. There was no pressure to pursue either of these items, the quote and a sample of gutter guard that would be used were left with me." Description of Work: Smyrna's Best Gutter Cleaners, clean and repair roofs and gutters. "I just used them yesterday, and I thought they were friendly and helpful.. In the process of cleaning, they found some shingles that needed to be replaced. I was happy with the job they did, and would use them again if I needed to." Description of Work: I recently purchased a house with badly neglected gutters. Large portions of the gutter system needed replacing, and they were so impacted with debris, the gutters were useless. I called Smyrna's Best Gutter Cleaners for an estimate on cleaning/repair/replacement. After letting them know that I wanted the gutter system to be in "as new" condition, they put together a very reasonable estimate for replacement of major portions of the gutter system (including new downspouts), new gutter covers, new shingles along the roof edge, general maintenance, fascia board replacement where needed, cleaning, etc. They quoted me what I thought was a reasonable amount for all repairs. "Communication was excellent, with reminders about service dates by email and phone. The workmanship appeared very good. They showed up on time and did what they said they would do. They did not have some of the materials with them to complete a small portion of the job but promptly came back a few days later. It was very convenient that I didn't have to be home for them to do the service and that I could pay online after the service was completed. I will use Smyrna's Best Gutter Cleaners in the future." Description of Work: Smyrna's Best Gutter Cleaners provide gutter cleaning and repair. "They installed new gutters at my home. I was very happy with the service they provided. They were prompt and professional, and I would use them again in the future." Description of Work: I used Smyrna's Best Gutter Cleaners for gutter cleaning. "I used an Angie's List coupon and will use them again in the future." Description of Work: Smyrna's Best Gutter Cleaners came to clean my gutters and my roof. I purchased a Big Deal for the work to be performed. "They were great. Cleaned up well. They were professional, efficient, and prompt. I would recommend their services." Description of Work: Smyrna's Best Gutters came to our house and gave us a very reasonable quote for replacing gutters on both sides of our home. "They were very honest about not making necessary upgrades. This saved us money. They were on time and could not have been more professional and communicative from the beginning to the end of the project. I will be calling them again whenever I need to have my gutters cleaned. They recommended we have the gutters cleaned twice a year. I will definitely be calling them to do any future cleaning or replacement of our gutters!" Description of Work: Gutters on north side of home overflowing in heavy rainstorms. Result of small pine tree resting on gutter after high windstorm up rooted it. Checked area over back door and repair made to direct water coming off roof into gutters. "During a heavy windstorm a pine tree from my neighbor's yard was uprooted and fell, resting on gutter. After a particular heavy rain storm, I noticed large puddles of standing water on the ground beneath gutter. Water was flowing over and behind gutter. On inspection the crew discovered the gutter had been bent and pulled loose from the house. Repair of this was made. Another area of concern was over my back door. Even with an awning made to go over back door, water would run down the side of the chimney and on the other side of the awning. A small piece was added to the strip already in place on the roof. This directed more water into the gutters over the back door. The crew was efficient, explained what was found, and repairs made. I would recommend Smyrna's Best Gutter Cleaners to my friends." Description of Work: I used Smyrna's Best Gutter Cleaners for gutter repair. "They were punctual. They did what they came to do. They did a good job and stayed right with it. I really didn't have a problem with them." Resecure 20ft of gutters "I have utilized Smyrna's Best Gutter Cleaners for several years now. They are not always the least expensive, but they are the best. I schedule my appointments online, and receive a date via eMail, then a follow-up (confirmation) call the day before. I checked their insurance, and they have all the proper coverages. Description of Work: I had my gutters cleaned and 3 roof vent caps replaced. "For 20 years I've cleaned my own gutters, now I don't know why. I really wish I would have called Smyrna's Best Gutter Cleaners years ago. From the time that I called for a quote until the job was complete, everything went perfectly as planned. They e-mailed me a quote, scheduled a date, showed up on time, did a great job and everyone I dealt with was friendly and professional. They discovered that three of my vent caps had rotted away. I knew this to be true because I had seen them myself. They offered to repair them and perform the work right then if I wanted to take care of the problem. It took them 15 min. to do a great job on the repair. I had a great experience with Smyrna's Best Gutter Cleaners and will be calling them in the years to come." Description of Work: We used Smyrna's Best Gutter Cleaners for gutter cleaning. "They did a great job. There were timely and professional. They answered my questions. They noticed that some grids were missing on the gutters, and replaced it. They were very efficient and did the job very quickly." Description of Work: Smyrna's Best Gutter Cleaners cleaned my gutters for me. "They had to climb up on our roof and blew out our gutters then splashed water down it. It was a good experience. There was a lot of pine straw in the gutters and they put it into the beds. They blew off the area and they blew off the decks. I had thought when I made the appointment they said they would send me an email when they would be in my area in case I wanted to home but they never did. They could have been backed up." Description of Work: gutter cleaning included the roof cleaned off; a section of gutter modified to accept more water "We have gutters with covers which had not been cleaned in years. We were having trouble with a non-functioning section which created a waterfall when it rained. Upon scheduling work with Smyrna Best Gutter Cleaners to clean the gutters, we were given a good description and quote which included the $20 new-customer discount. The workers showed up on time and did everything we expected and more. We asked them to take off the cover on the problem section and put on a screen. They did this at no extra charge!" Description of Work: "We just used Smyrna's Best Gutter Cleaners and they did a pretty good job." "They came while we were at work, we didn't have to take a day off, and they cleaned the gutters well. Their prices were competetive with others." Description of Work: "Gutter cleaning." "I found Smyrna's Best Gutter Cleaners on AXXXXXs List, completed their online inquiry and received a call from them same day. Got a quote over the phone and scheduled the cleaning for the following week. I wasn't home during the cleaning, but know that everything was cleaned and picked up when I returned. Couldn't have been easier. " Description of Work: "Smyrna's Best Gutter Cleaners (ABGC) cleaned our gutters and unclogged a downspout. They also, trimmed small tree limbs away from the roof line to help discourage squirrel access to the roof and to help prevent debris from entering the gutter system." "After speaking with ABGC on the phone and finding that they were professional and extremely knowledgeable, we scheduled them to clean our gutters to correct an overflow problem we had noticed. We were particularly impressed with their clear communication with us over the phone and their willingness to explain their services in as much detail as we needed. The courteous team arrived on the appointed date and performed the services that we had requested. Unable to reach us by phone, they left us a note stating that we had a clogged downspout that would require additional effort and expense and how much we could expect to pay for the extra service. In addition to the note, we found the yard had been cleared of all debris both from the gutter cleaning and from recent winds. We called them back and scheduled with them to correct the clogged downspout with the understanding that they would fix our issue the next time they were in our area which would be 2-3 weeks. They emailed us a couple of days before their arrival and again they arrived on the expected date and corrected our problems nicely. When we need gutter services in the future, ABGC will be the first company that we call."